Thank you for subscribing to our originals newsletter. For the past few months we have been working testing various fine art giclee printers. We are now proud to add the extremely high quality fine art prints to our gallery. 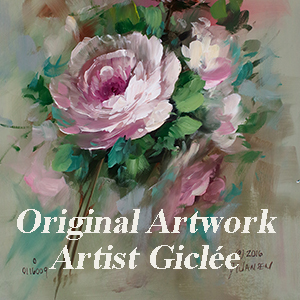 To introduce some of our collectors to the world of giclees, we are producing the first one at almost cost. This is your opportunity to own a limited edition giclee of this special painting. We are putting this beautiful fine art giclee on special so some of you can see the high quality of this original giclee. Click the link below to read more about the giclee. One Special Now for just a few more days!